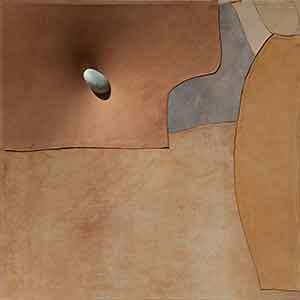 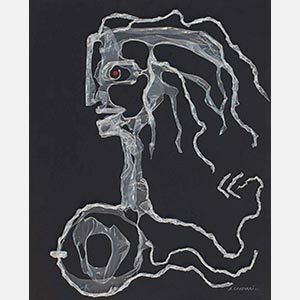 Inside the artist lives the intuition that together with his inner self can create forms able to express it. 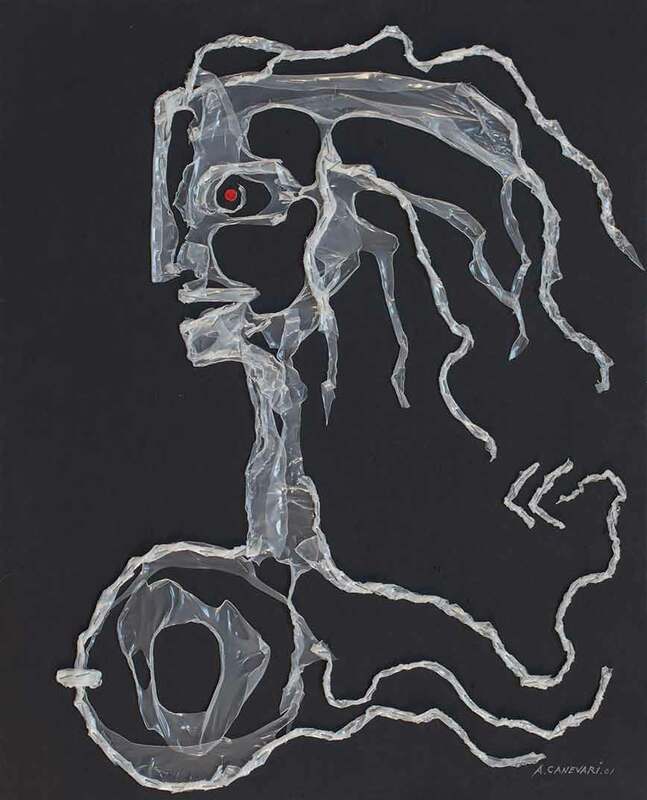 A kind of language that, starting from an ancestral culture, can be articulated in an expression, shaping in that way its own history. 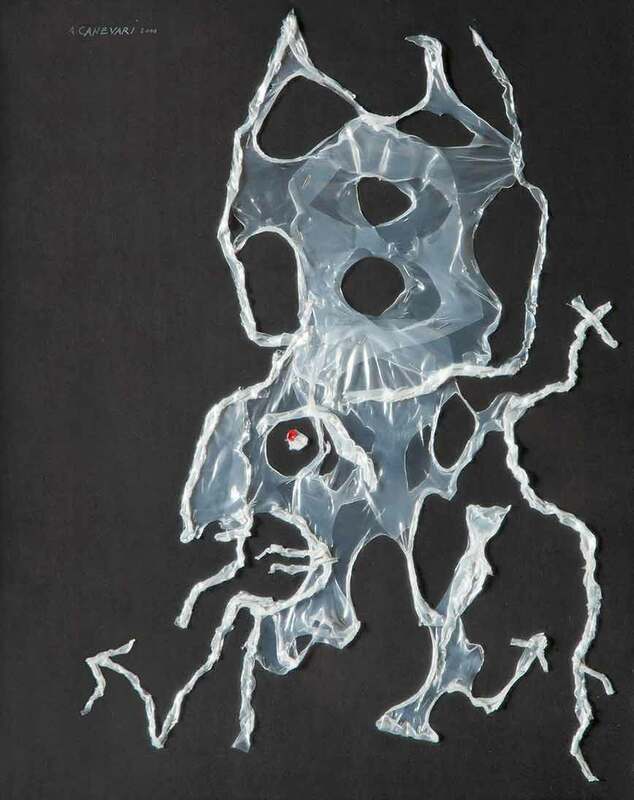 He will lead back every inspiration to that peculiar interpretative fashion, the only one he can use to read and communicate his ideas and his view of the world around him. 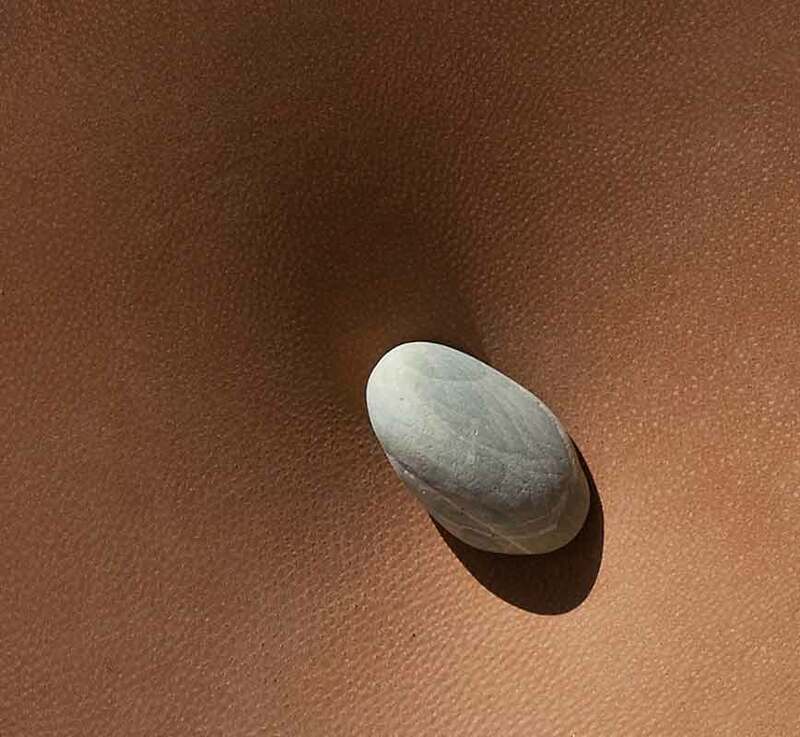 Everything he can capture from his life will be replaced in that perimeter, in that space. 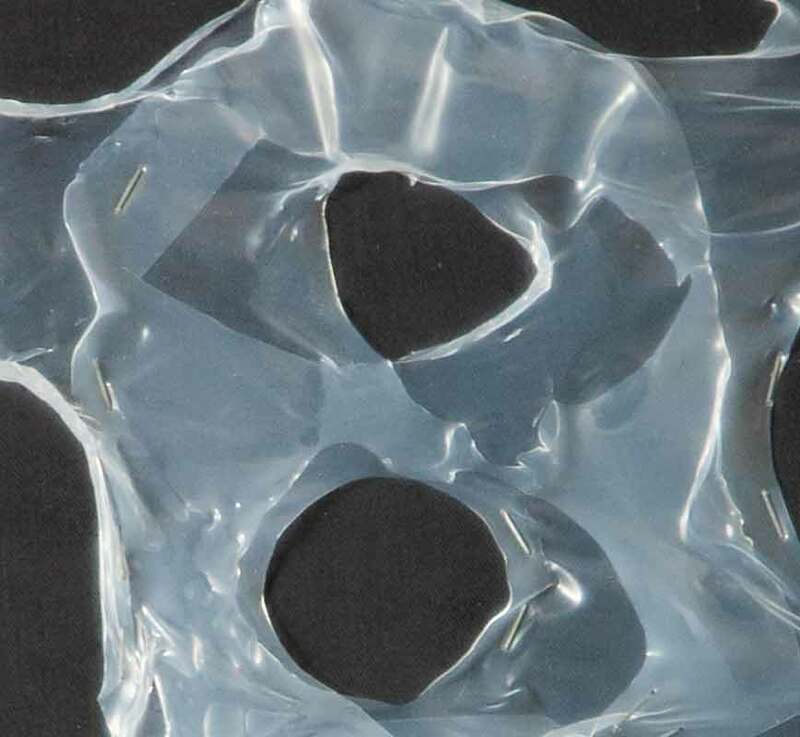 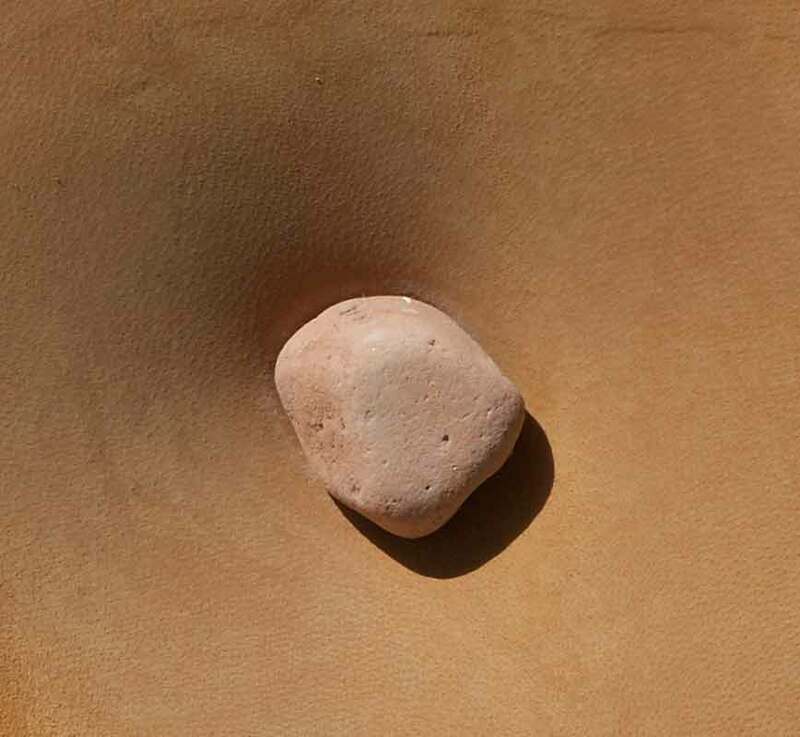 Every thought like a single stone will be picked up, interpreted, decoded and placed in the wall of creative construction, like fragments reborn to a new order. 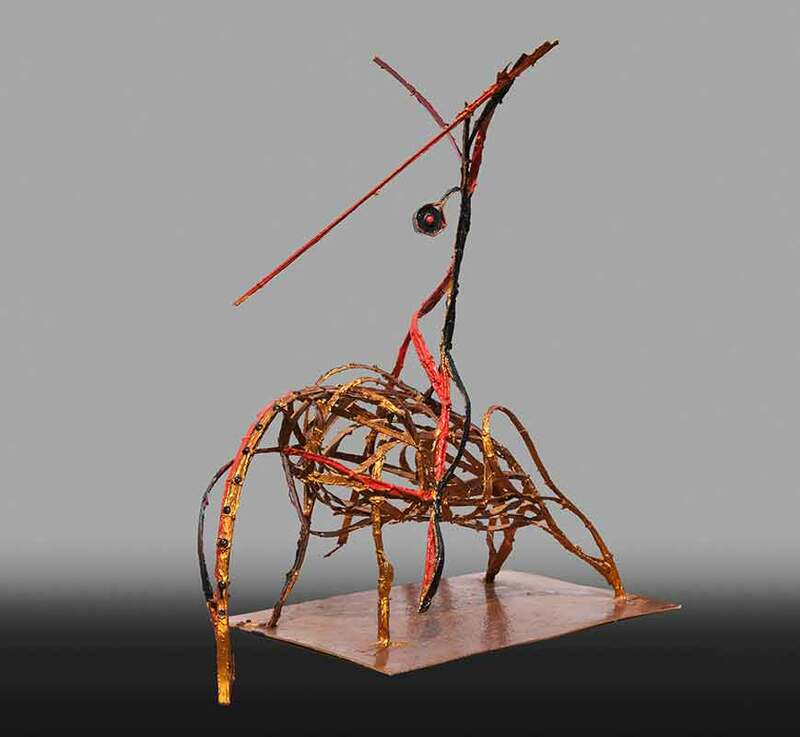 Art is the invention capable to manifest, through its continual metamorphose, the never ending process of creativity, the never ending process of life. 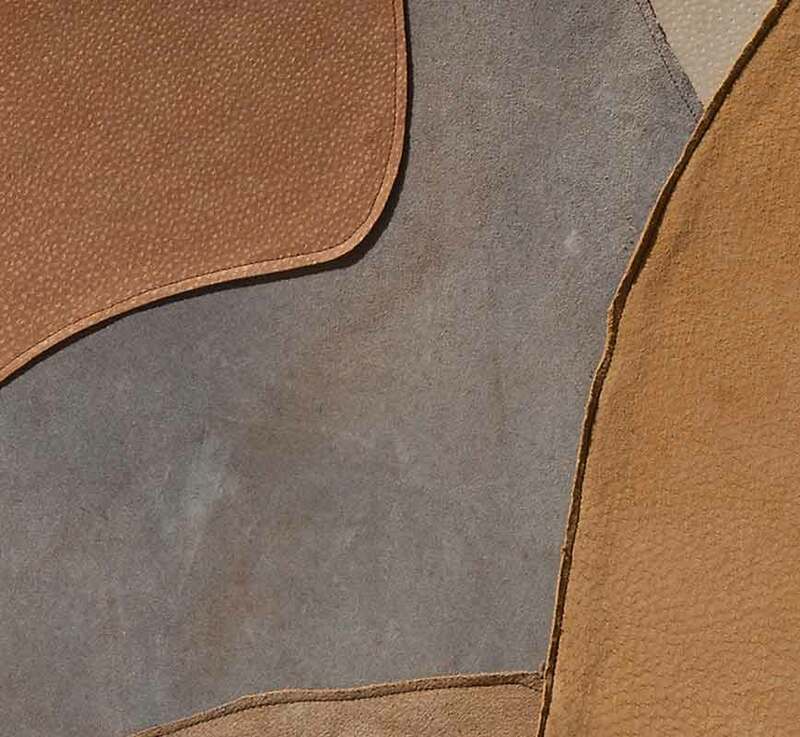 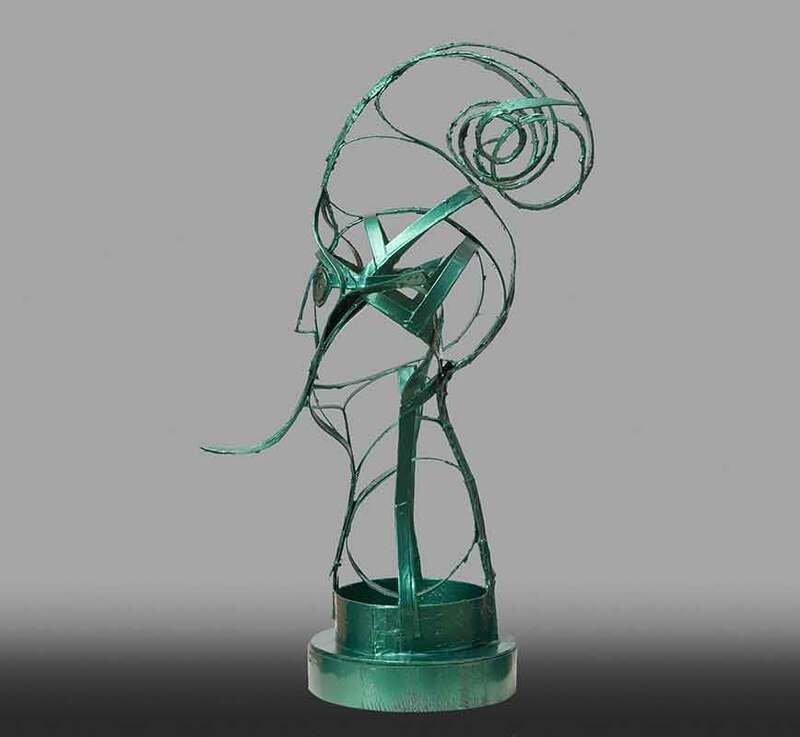 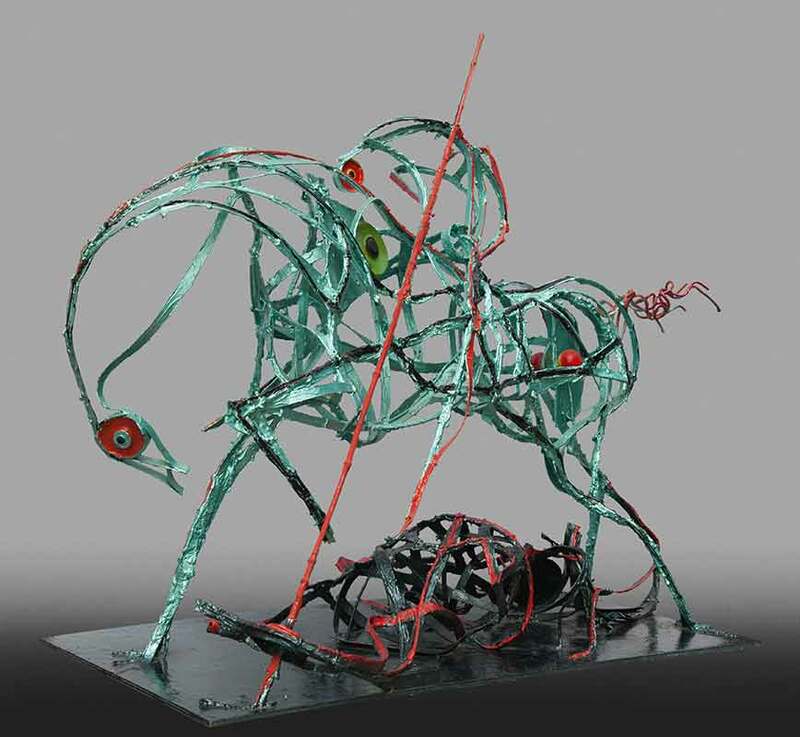 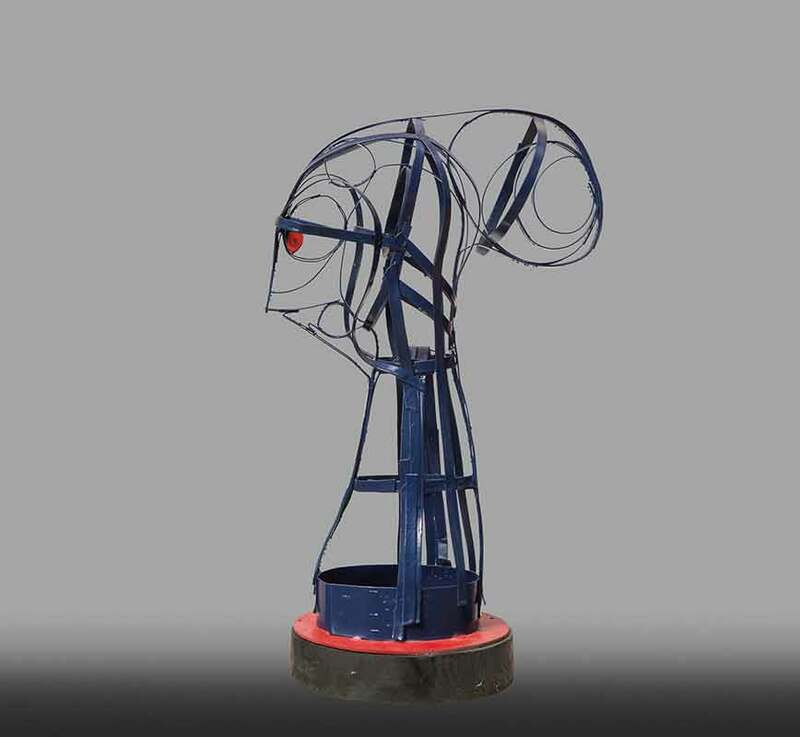 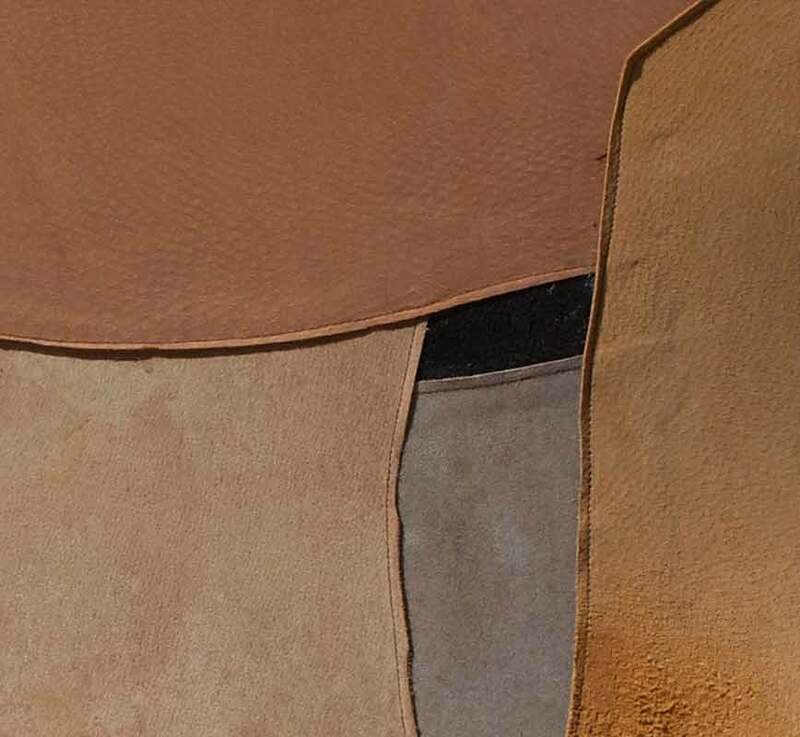 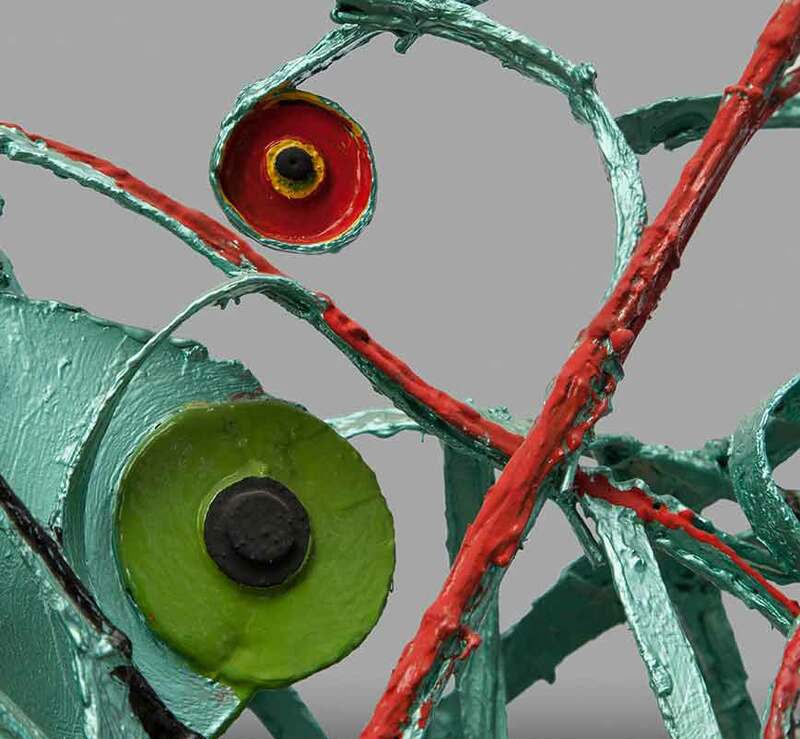 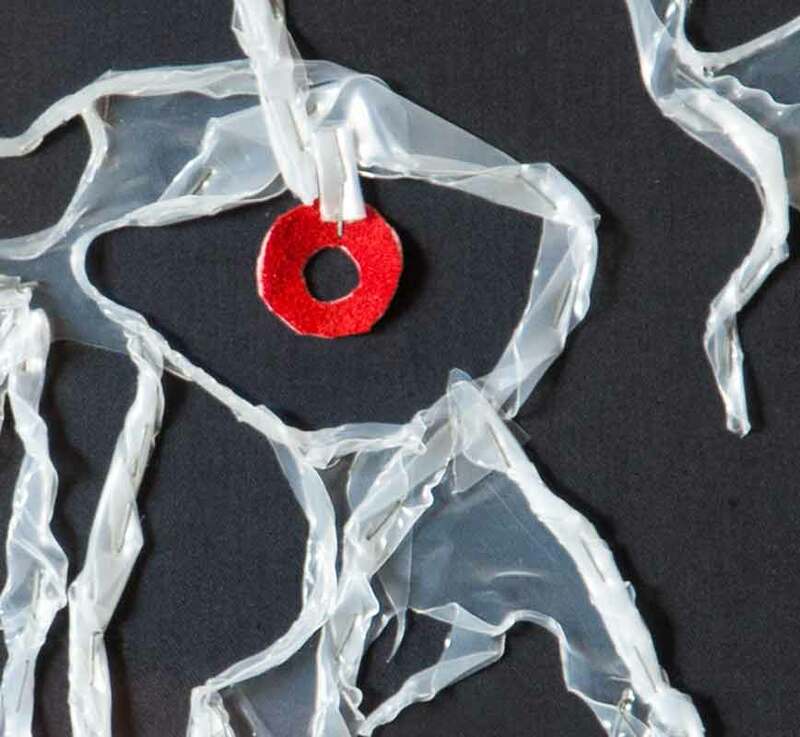 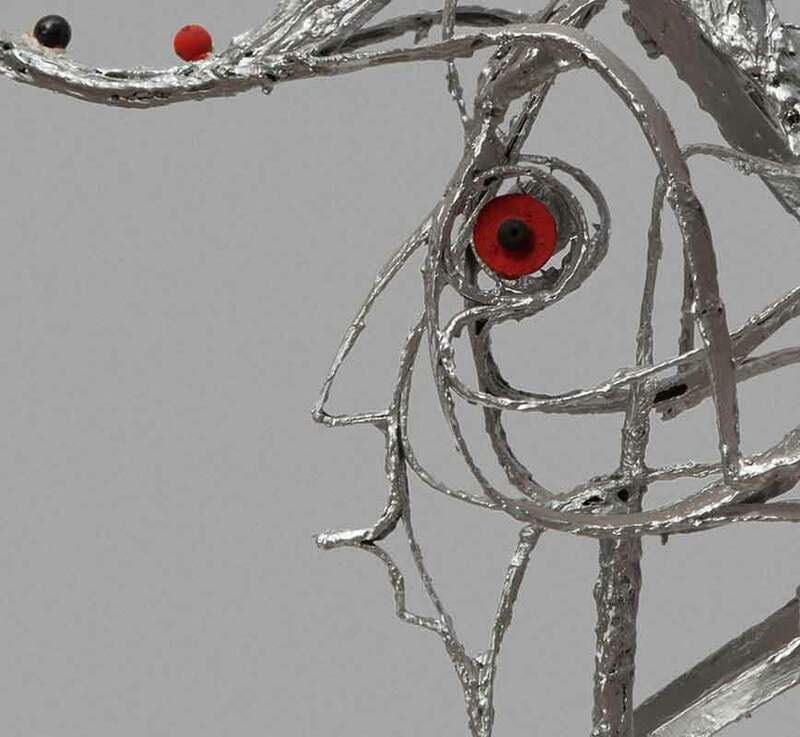 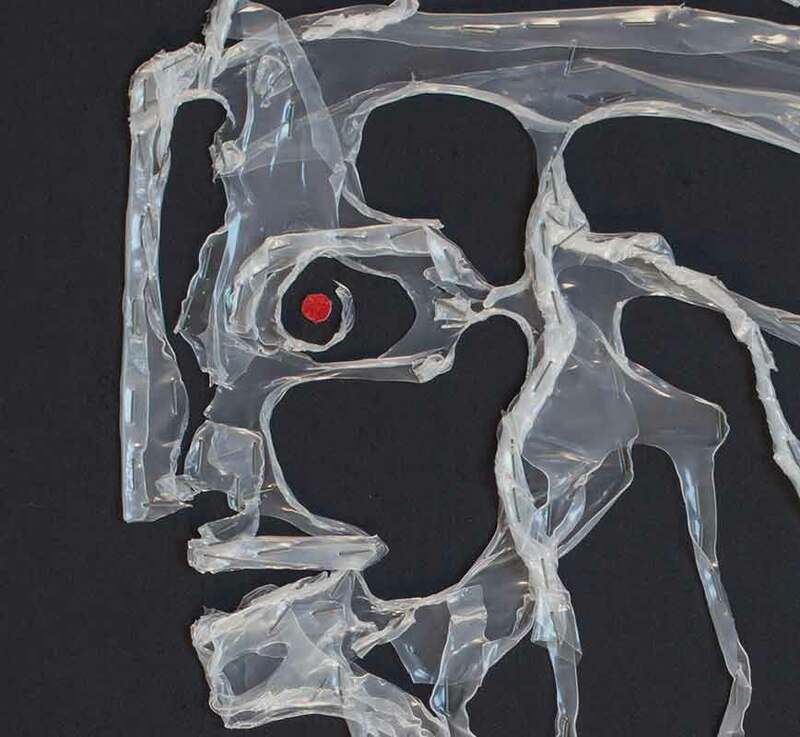 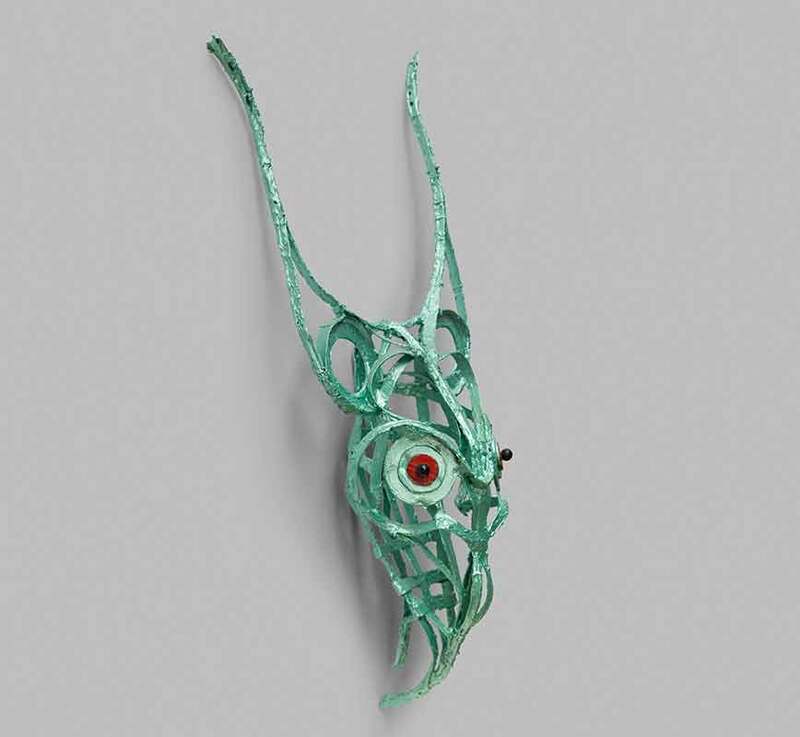 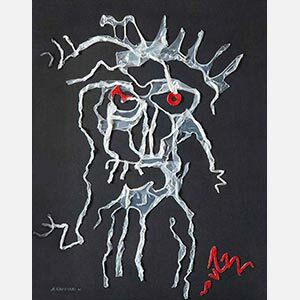 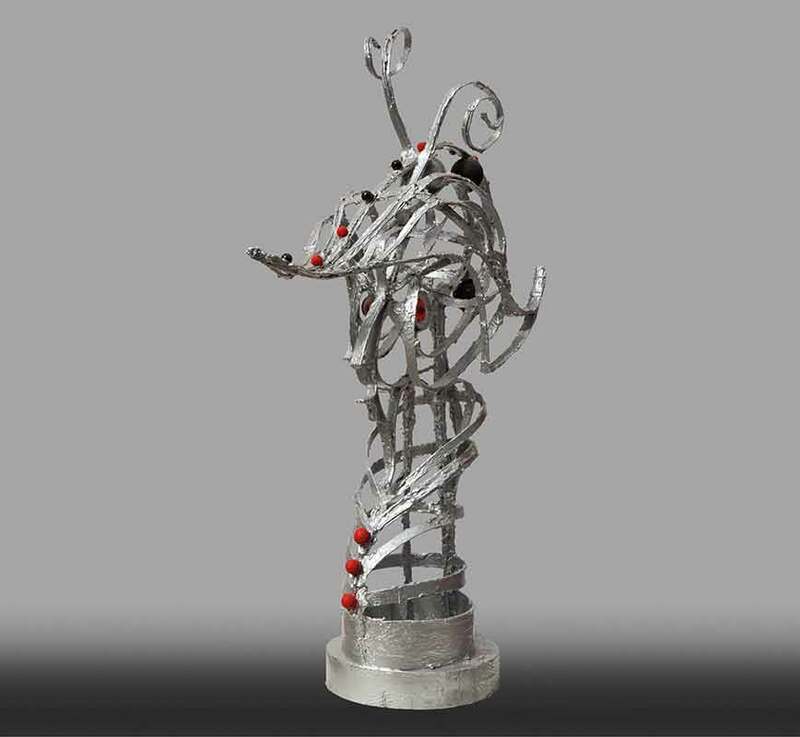 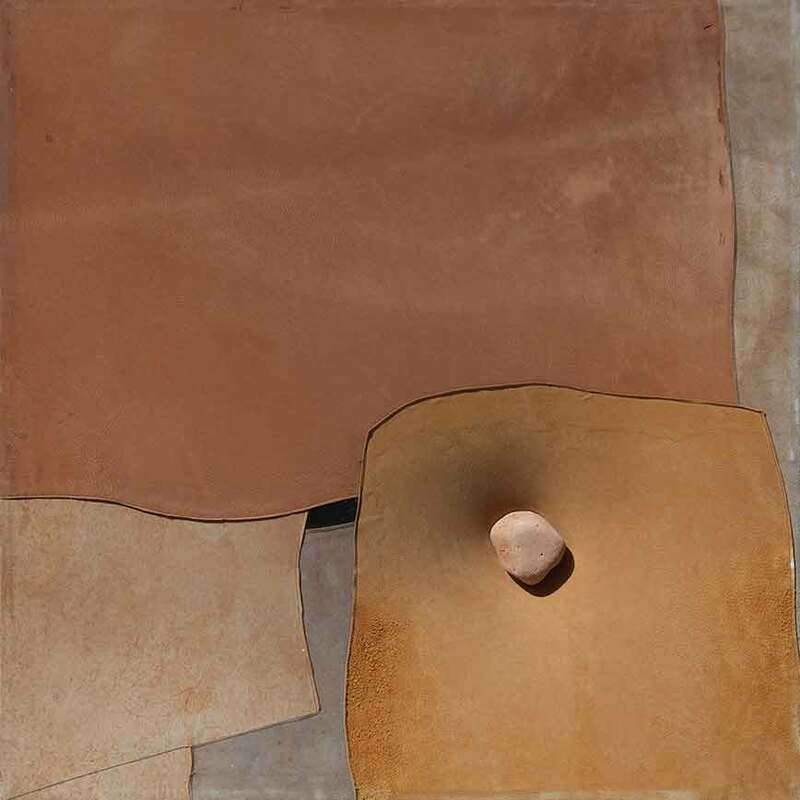 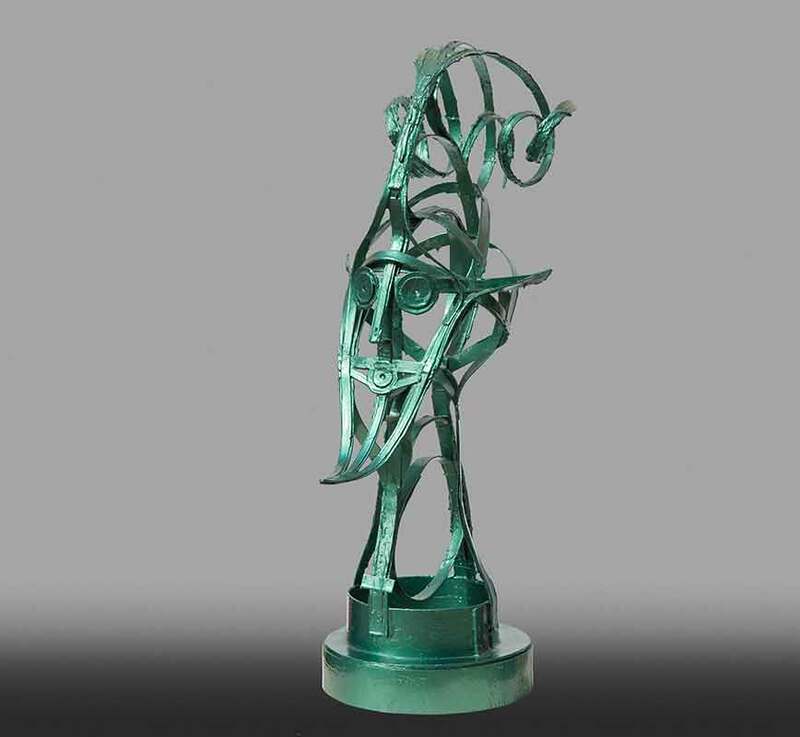 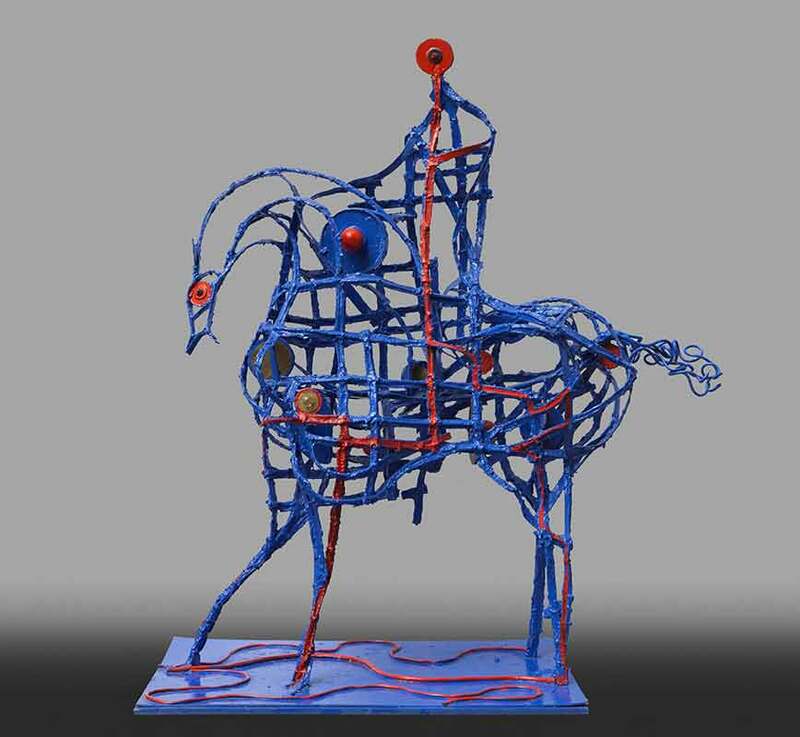 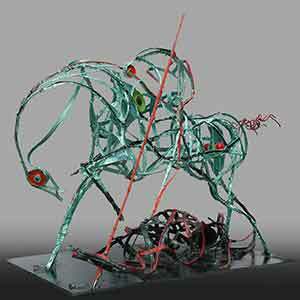 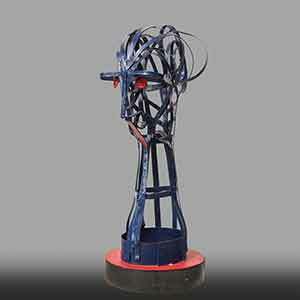 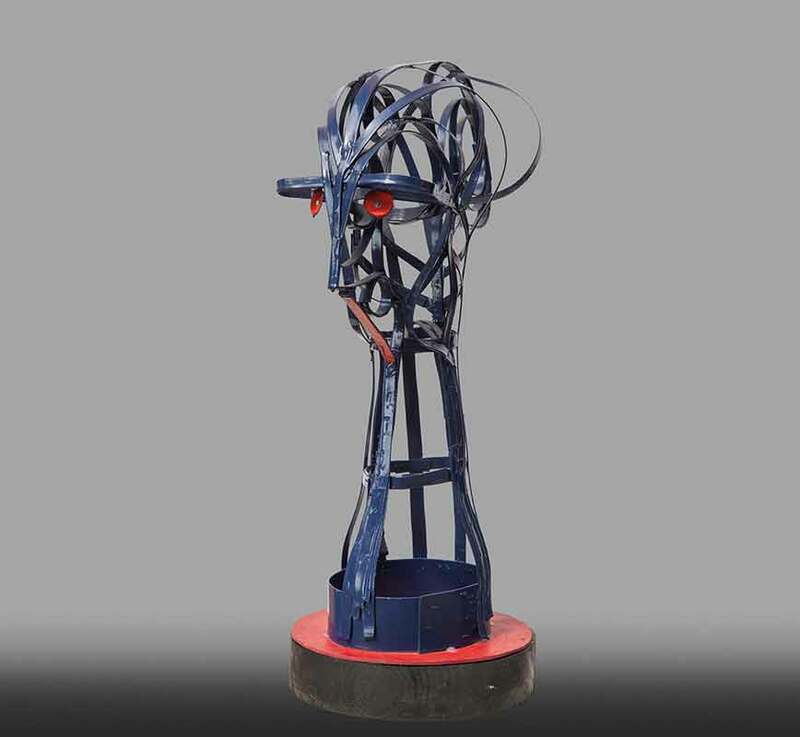 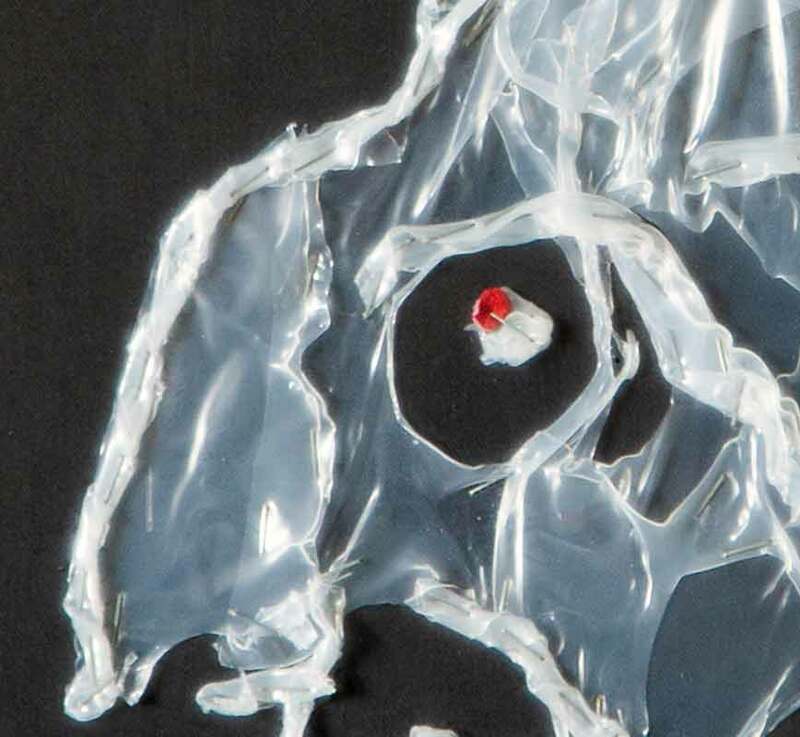 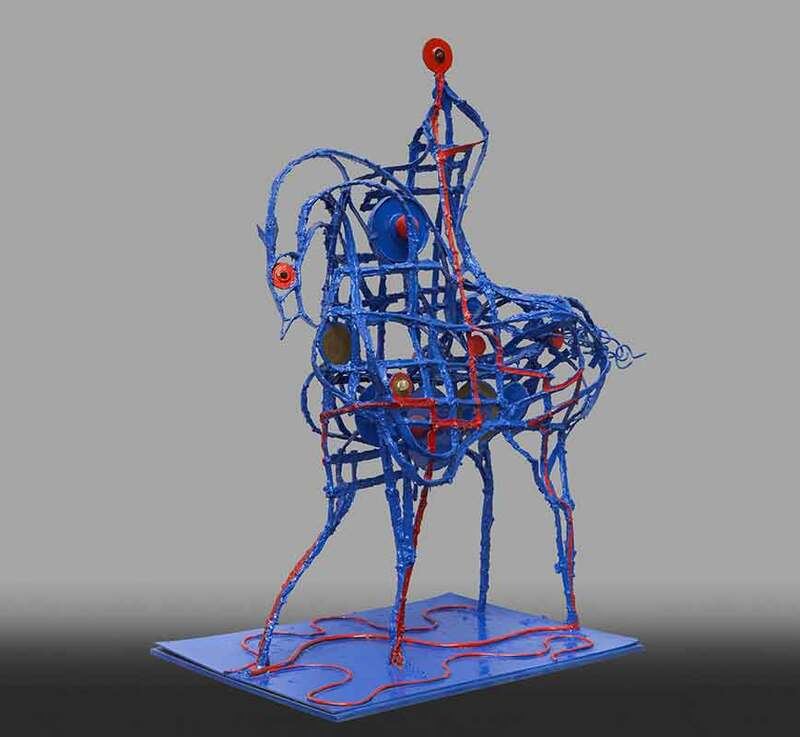 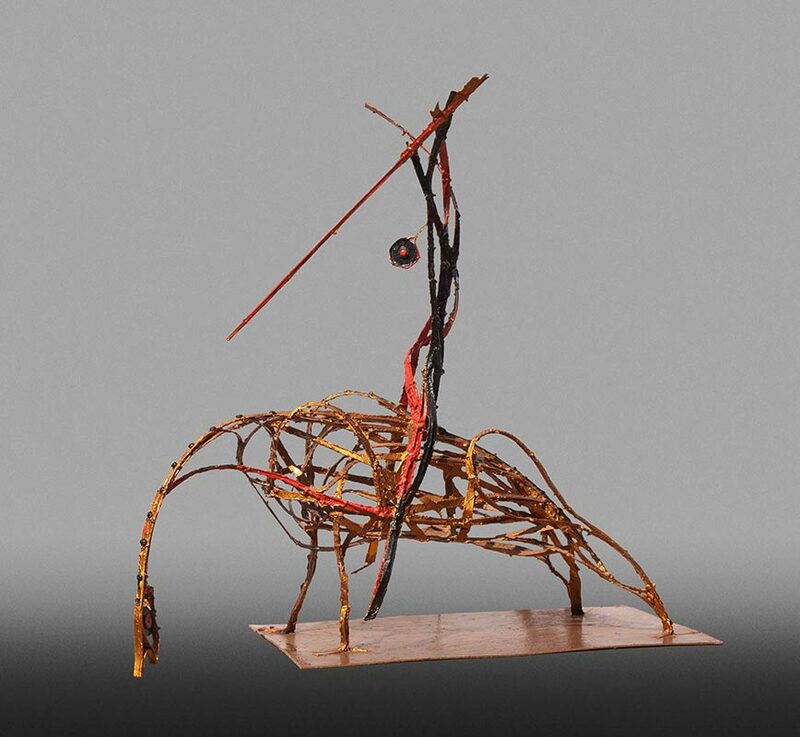 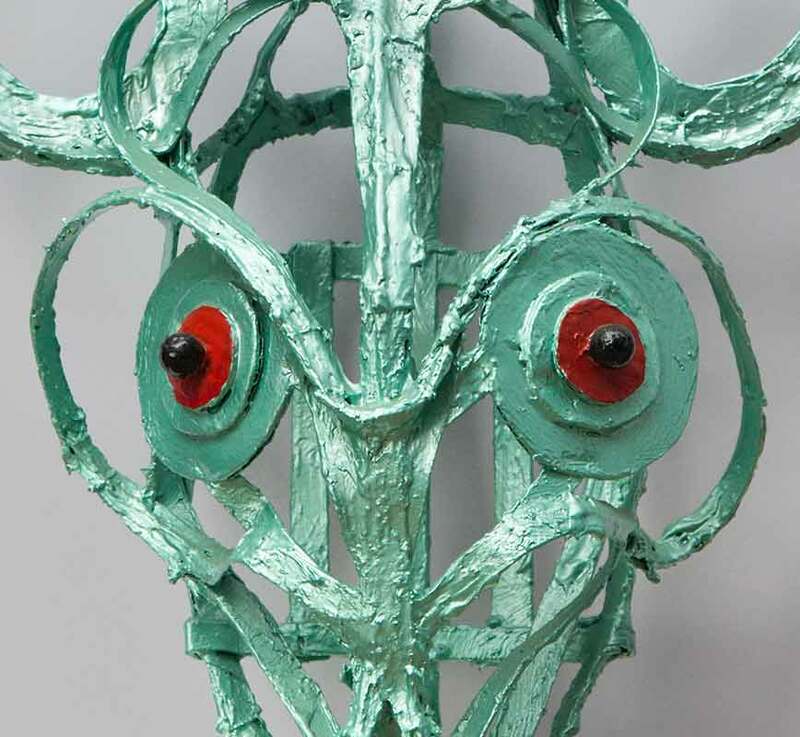 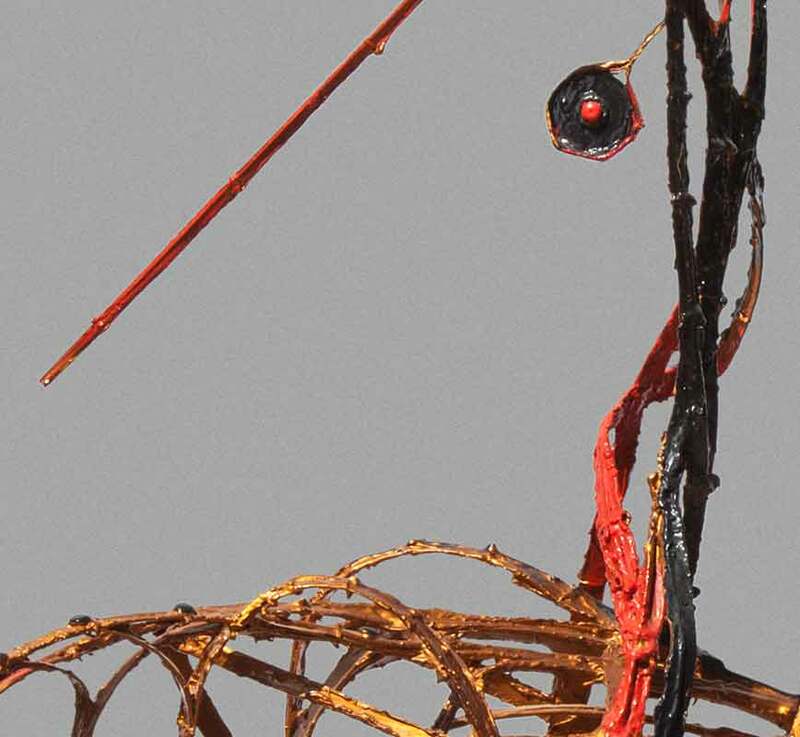 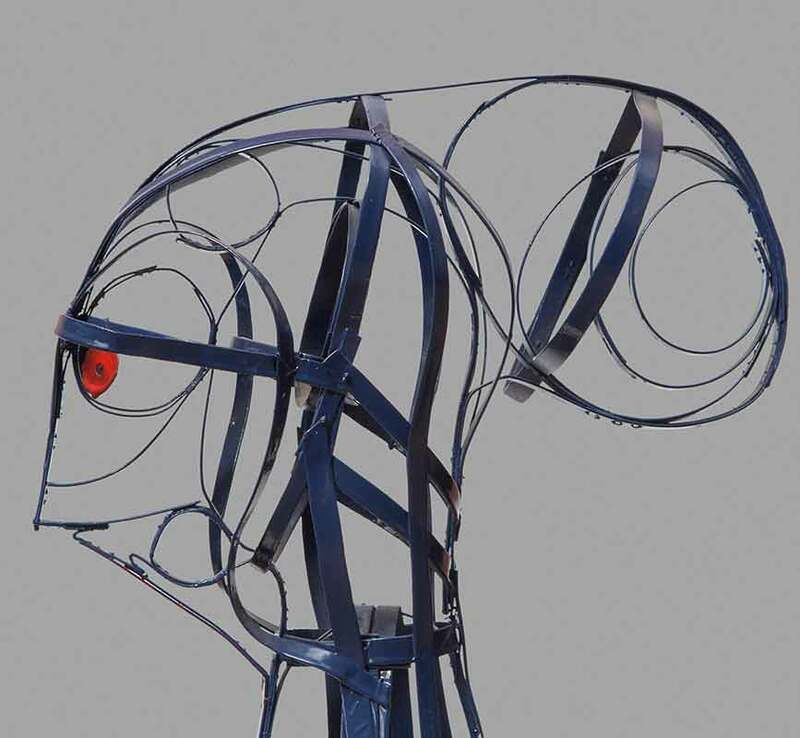 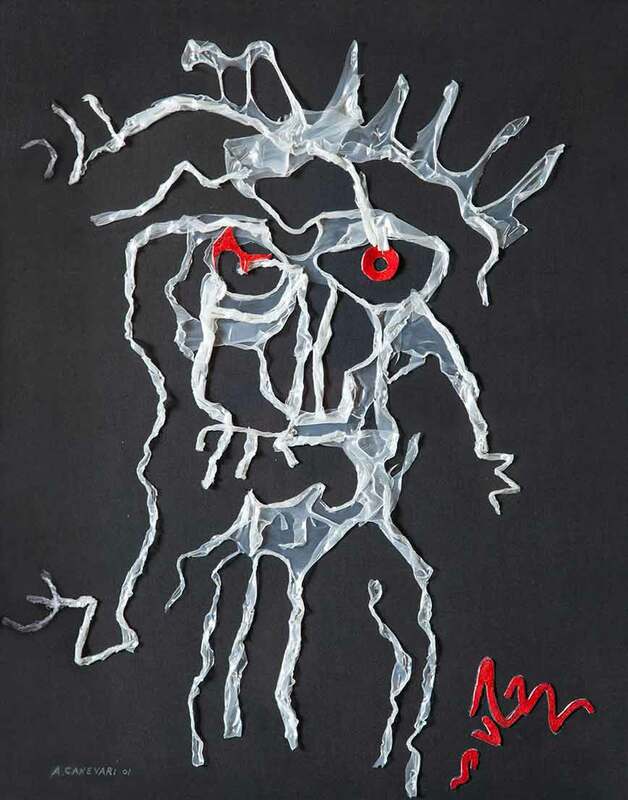 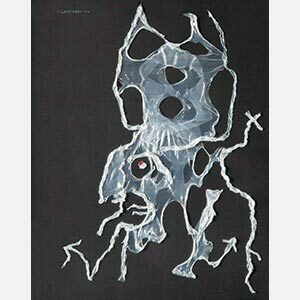 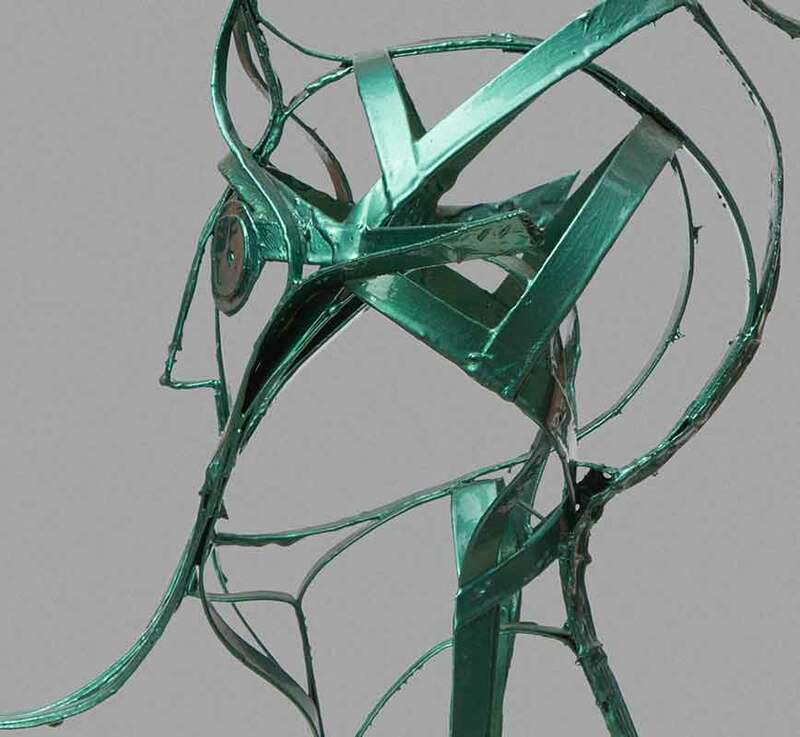 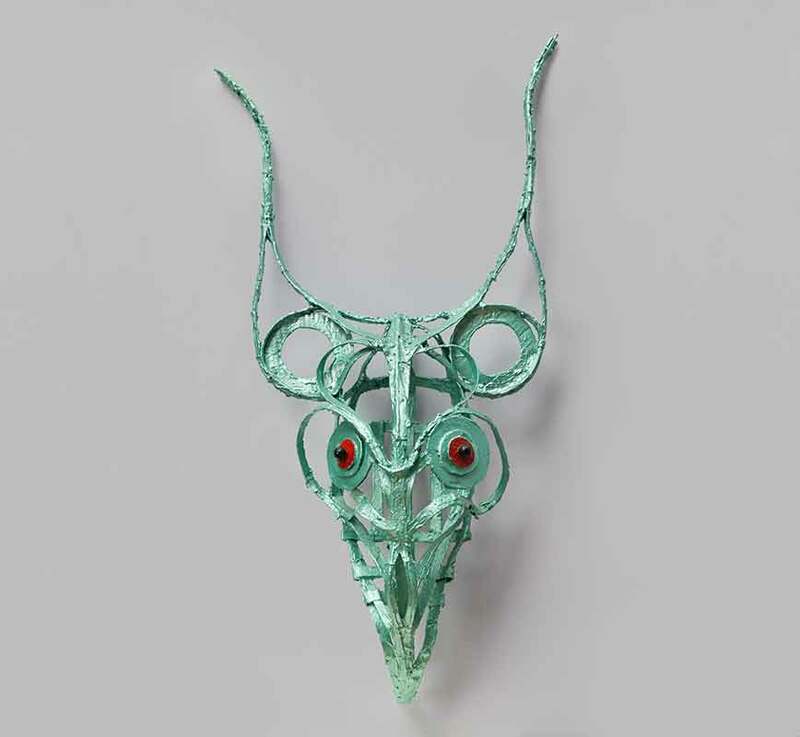 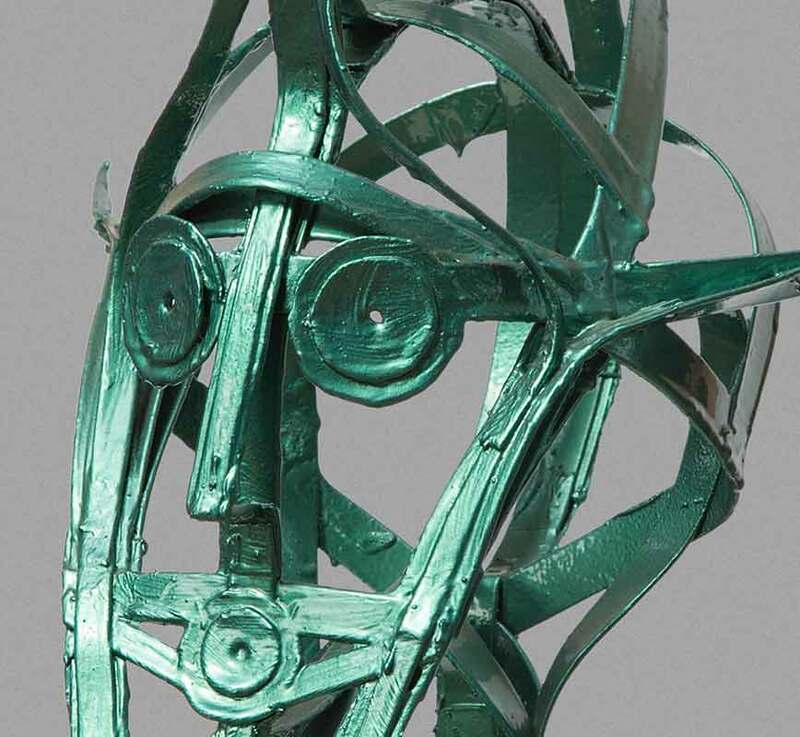 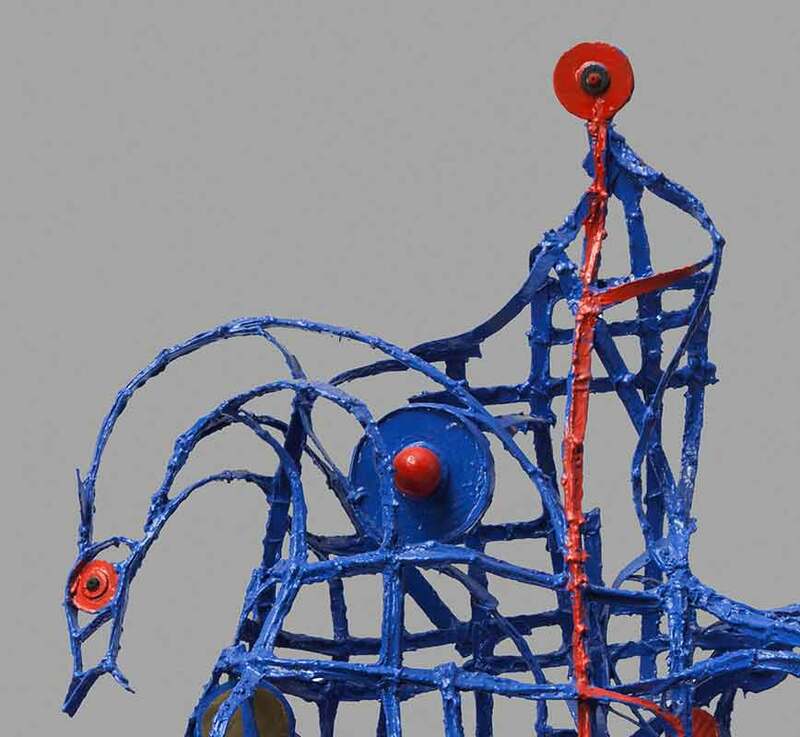 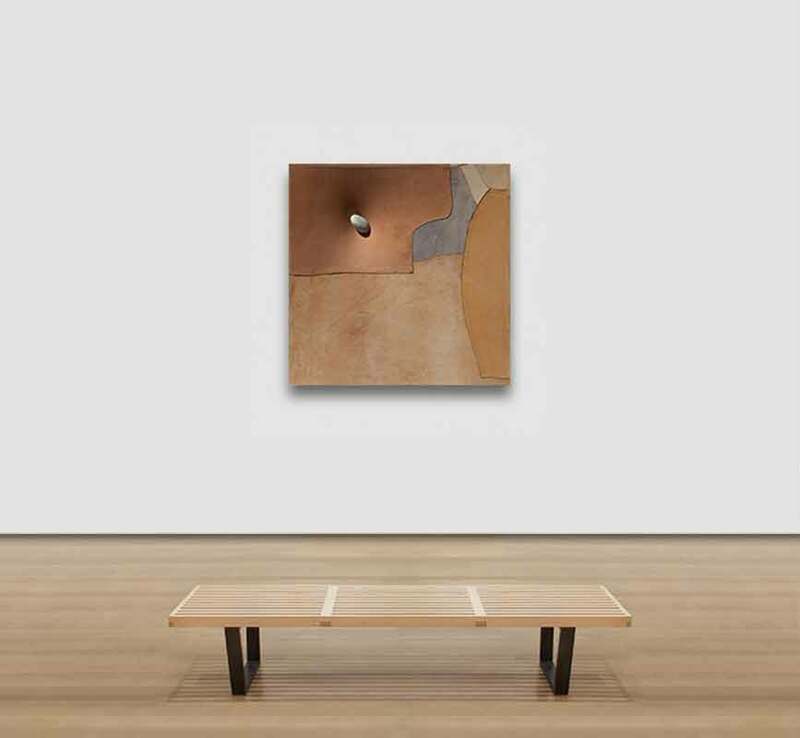 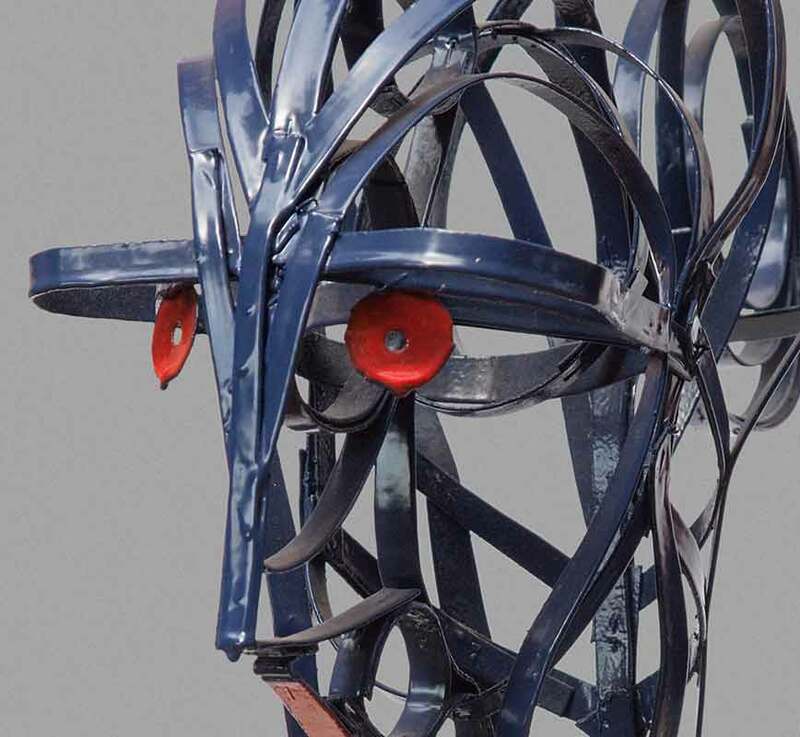 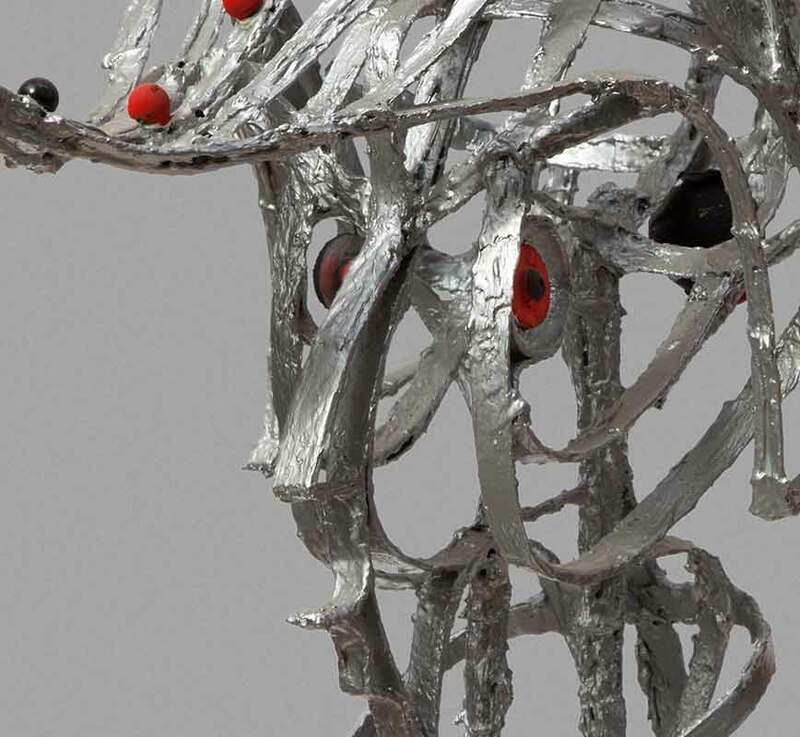 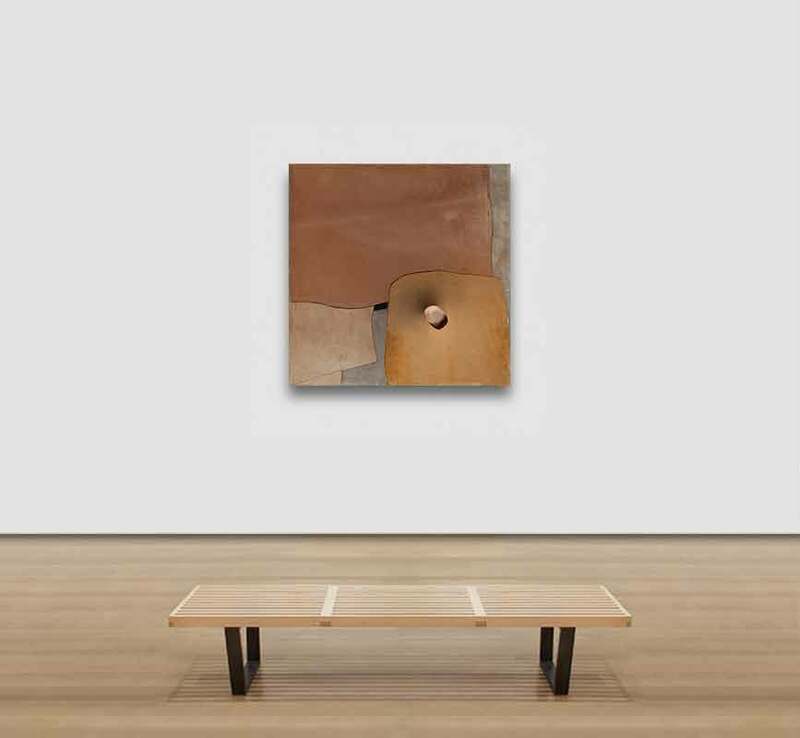 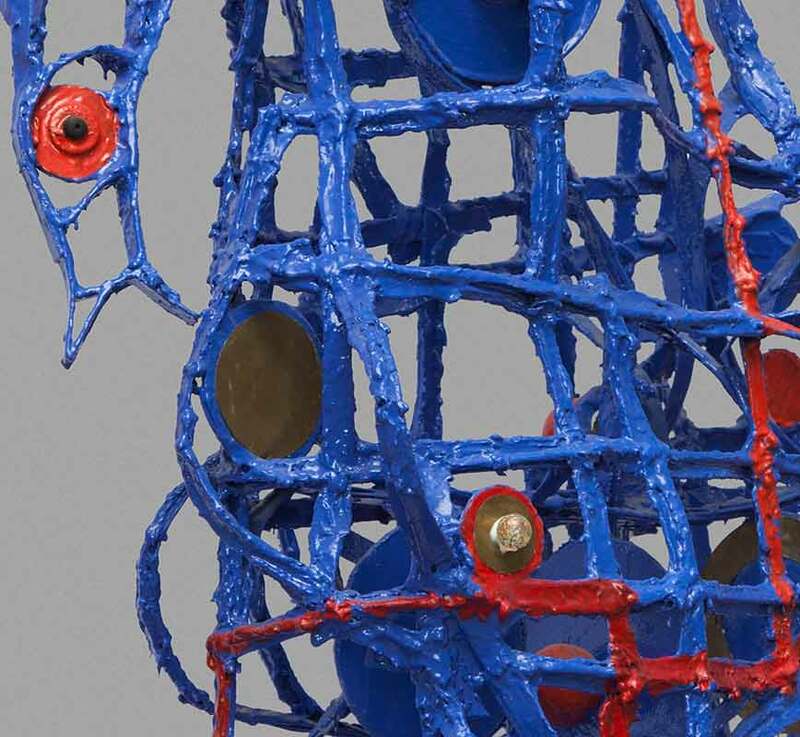 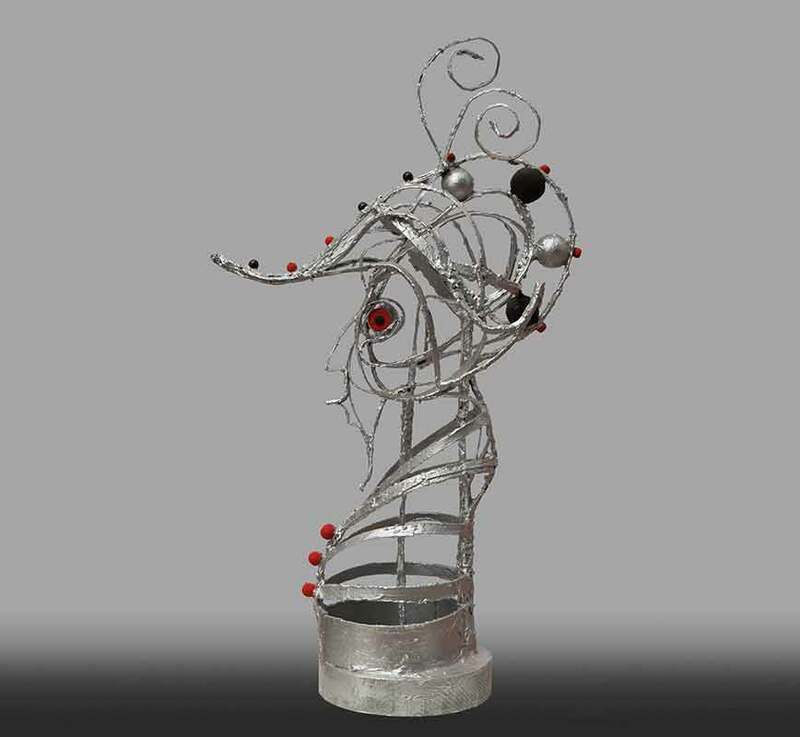 In his decades-spanning career, Italian sculptor Angelo Canevari has explored an extensive variety of mediums that span from metal, to leather to cardboard and automotive paint. 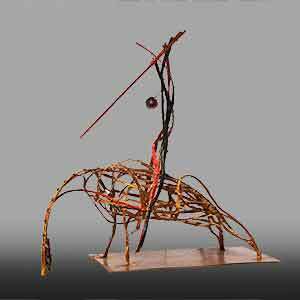 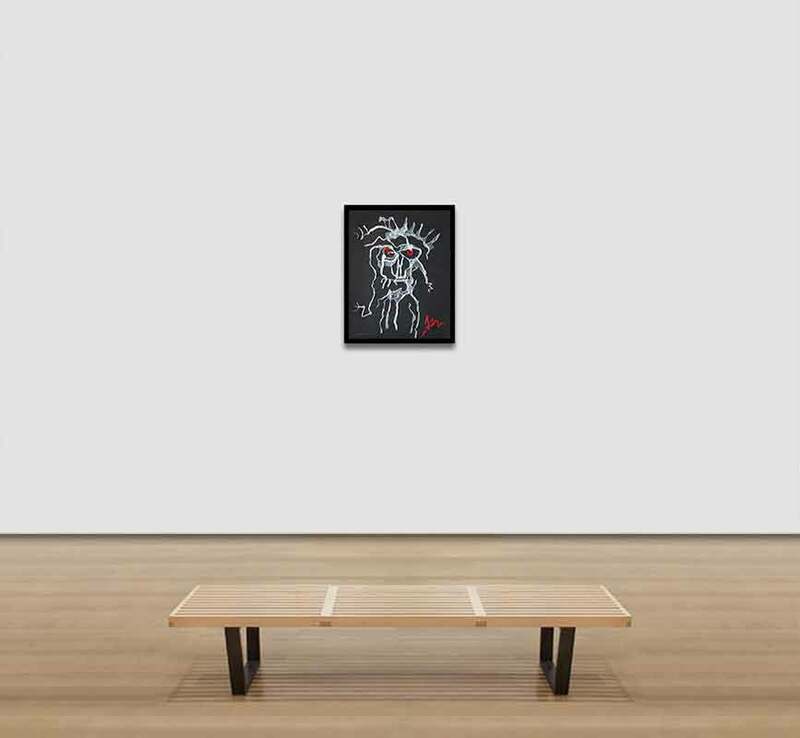 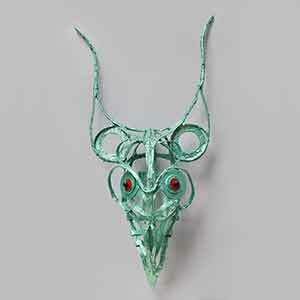 His work is often inspired by classical themes and myths or life rituals that assume a mythological stature. 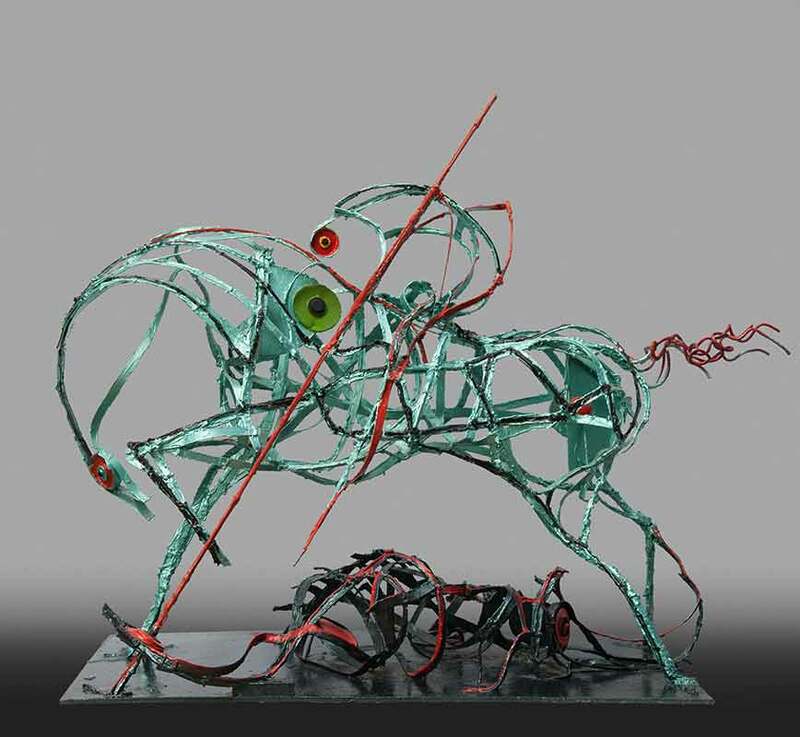 From ancient Etruscan ceremonies to Greek mythology or simply Spanish literature his sculptures reinterprets with a modern syntax ancient memories of a distant past. 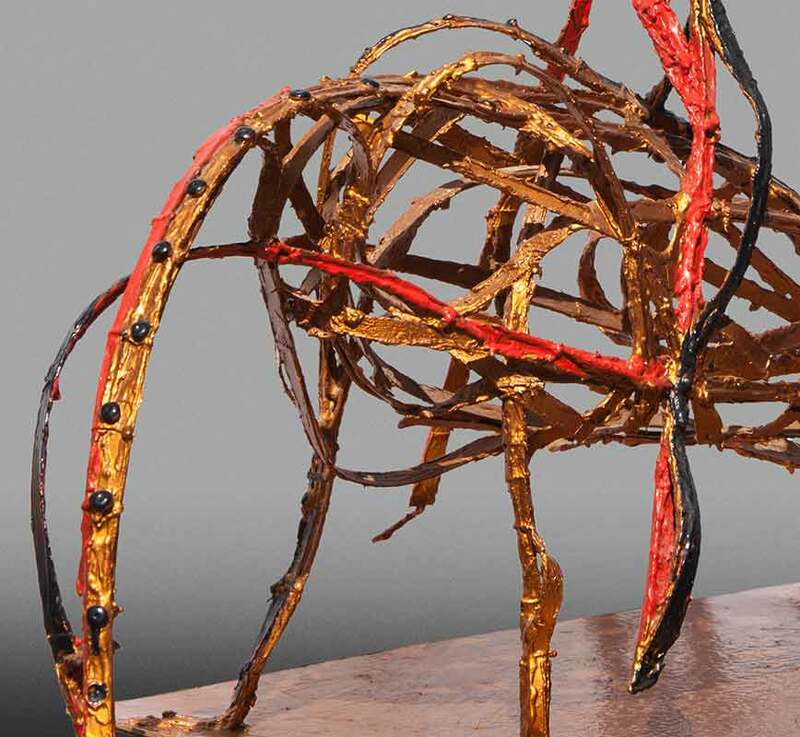 His creations are often monumental in the viewer’s perception, even when not of large dimensions and despite the use of unconventional materials.